Art by Maddi Gonzalez and Brittney Williams. Here’s a look at what non-Marvel/DC comics are coming out in August. “Copperhead” #22. Art by Scott Godlewski and Ron Riley. Archie’s Marvel digest for this month features Venom, because Marvel’s own solicitations for August didn’t push the symbiote hard enough, I guess. Granted, there’s the Venom movie coming out in October. 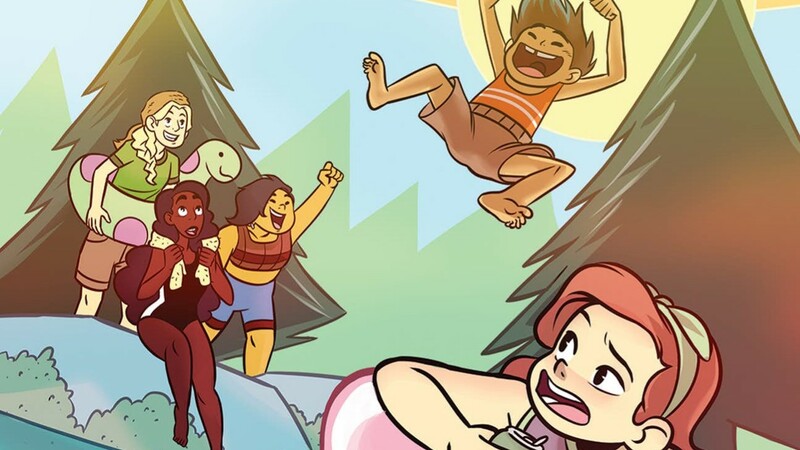 There’s a lot of “Lumberjanes” out this month, including an $8 “special” (like an annual?). The most noteworthy news is an original graphic novel’s solicited for October, centering around Mal and Molly’s relationship. A hardcover collection of Dell’s “Peanuts” comic books is coming out this month. For a time, a series of comic books were published under Dell’s “Four Color” line, the highest-cover-numbered series of US comics to date. (Sorry, “Action Comics.”) “Four Color” published various licensed books from TV, movies, and comic strips. 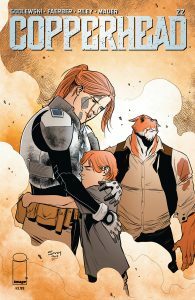 “Copperhead” is finally coming to a close, as this month features the final issue in the series. Given the series had a few delays during its run, maybe it was inevitable. Still, I’m glad it’s at least getting a proper ending. IDW is releasing a graphic novel about the younger sister of Sherlock Holmes, who’s a teenage mystery-solver. They’re also releasing a weekly five-part miniseries starring Bebop and Rocksteady, the popular idiot mutant henchmen of “Teenage Mutant Ninja Turtles” fame. Previous Post:What are the main influences on 2010s TV animated cartoons?